Virility, redefined: This, my friends, is a baseball player. The slumped shoulders, the protruding gut, the complete lack of muscle tone, the blank stare, the pasty skin — all of it adds up to the perfect athlete. 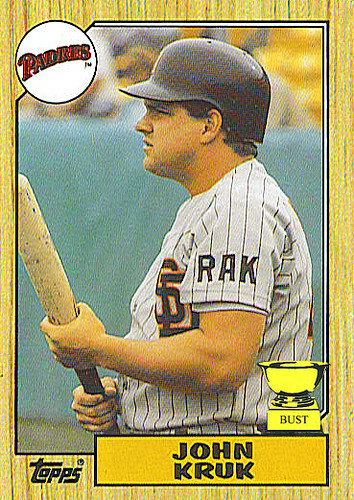 John Kruk could mow through a pitching staff just as easily as he could pound a turkey leg. What's most impressive is how Kruk kept his Adonis-like form throughout his playing days — while adding stunning hairstyles — and even into a broadcasting gig once his playing days were over. Cheers, John Kruk!